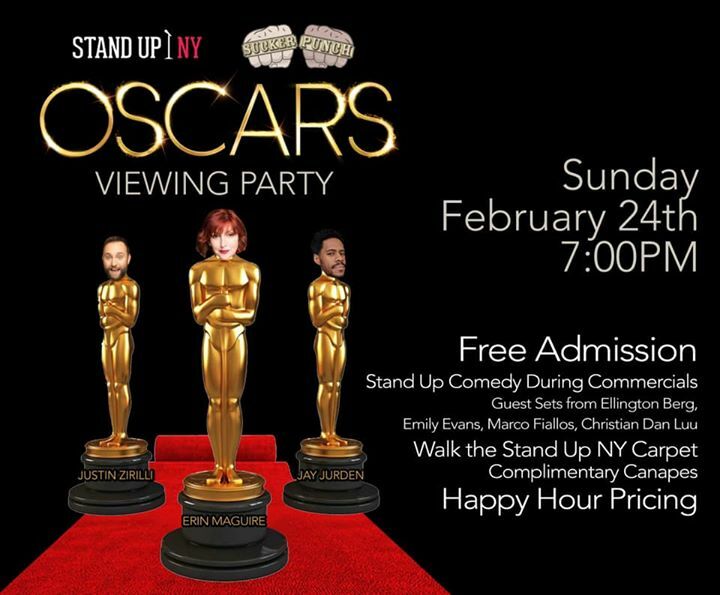 Sucker Punch is TAKING OVER Stand Up NY for the OSCARS! Join Justin Zirilli, Jay Jurden, & Erin Maguire (and a gaggle of soon-to-be-announced funny gays) for a FREE stand-up event including LIVE screening of the awards, FREE Entry, HAPPY HOUR drink prices, & FREE FOOD! Also Featuring Comedians: Christian Dan Luu, Emily Evans, Ellington Berg AND Marco Fiallos!